We Topall Impex Established in the year 2008, at New Delhi, India, are the manufacturer and exporter of Suspended Platforms, Groove Cutting Machine, Metal Shearing Machine, Truss Screeds, Bar Cutting Machine etc. Besides, we are also capable of executed all our orders as per the expectations of customers. These aforementioned products are meticulously fabricated using the supreme quality basic material, sourced from the accredited vendors of the industry. These machinery and construction equipment successfully cater to the increasing demand of construction industry. The entire production process is led by our production personnel in the most effective manner. Our state of the art infrastructure is equipped with several high-tech machinery and amenities that enhance the productivity, quality, research, and development. Our products are known for their high performance & long service life. We have a team of well-trained technicians who provide specialized training to our clients, which incorporate installation procedures and functionality of our products. Apart from aforesaid factors, to maximize contentment of our clients, we carry out dealing process with them while keeping in mind their requirements and interests. 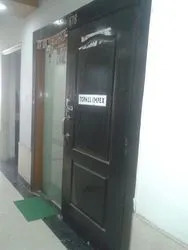 With the unwavering support of, Mr. Nitesh Chhajer, (Proprietor) we have been able to execute entire business operations in the most promising manner. His experience and foresight in this field have helped us to understand the working of the organizations. Quality is the prime importance of our organization and we are dedicated to maintaining the highest quality standards during the manufacturing process. All our endeavor towards meeting the emerging demands of customers effectively. Our quality management system includes various inspections like incoming, in a process and final product inspection. This further ensures that our finished products are more dependable as well as give reliable performance. Our entire range of testing & measuring instruments is also tested on various quality parameters. During the manufacturing process, these are strictly supervised by our well-trained professionals who ensure flawless production. We have established a state-of-the-art infrastructure which has enabled us to meet the increasing demands of the market. This is divided into various units which are efficiently managed by our expert team of professionals. Further, our manufacturing unit is well equipped with all the latest machinery and tools that help us in offering a flawless range of equipment. With the assistance of our qualified professionals, we are able to achieve incredible success within such a short span of time. This personnel is the most important asset of our organization who has helped us to be counted among well-known name in this business domain. Our expert technocrats and engineers keep themselves updated with the latest knowledge to carry out an efficient performance. Their in-depth process knowledge and expertise help us to meet the specific requirements of our customers. Vijay Nirman Construction Pvt Ltd. Wave Silver Tower Pvt Ltd.
Himal Hydro Construction Co Pvt. Ltd.